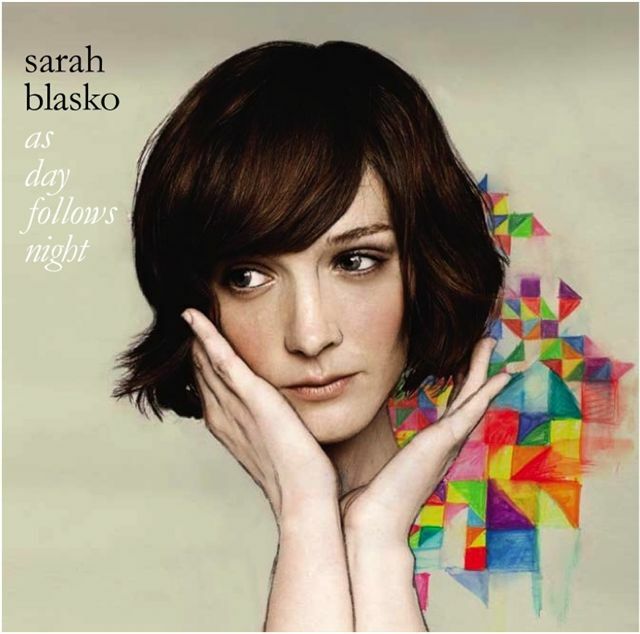 Deceptive simplicity is the hallmark of Sarah Blasko’s new album, the optimistically titled As Day Follows Night (Dramatico). Her mordant lyrics emerge from an intriguing musical mist, delivered in a voice far less fragile and little-girl-lost than it sounds on a superficial first hearing. Spare string and piano arrangements are based on an acoustic, percussive foundation that takes you on an absorbing journey from the bleakness of wrecked love to the painful but ultimately life-affirming recapturing of emotional equilibrium. The images are stark – “Is My Baby Yours?”, “Bird on a Wire”, “Lost and Defeated” – but the mood is pensive and eventually hopeful rather than relentlessly dark. Australian Blasko was working on the score for a theatre production of Hamlet while writing the album, and the introspection in many of these songs is tinged with a kind of self-revelation that the Danish prince would recognise. “All I Want”, with its windswept, Morricone-style setting, perfectly defines her predicament. Swedish producer Björn Yttling has created a sense of space that allows Blasko’s alluring voice the freedom to explore some epic themes without ever tipping into clichéd anguish. “I never knew it would hurt like this, to let someone go against my wishes,” she sings, compassionate for the departing lover even as she nurses her raw wounds. At 33, Blasko is already a seasoned recording artist, with a growing following in Europe. This is her third album and it’s a haunting piece of work that should mark her breakthrough moment in the UK, where she has based herself for the rest of 2010. She plays the Islington Academy on 15th April and tours with the Temper Trap from 27th April.